When I mention "The Box" to my students, they light up like kindergarteners in a room full of glitter. Is it a box full of goodies? Is it a game? Is it something that will get them out of homework? Nope. It's a creative writing activity. "You jest!" you might say, or "You're kidding me, right?" No jesting here. "The Box" is a creative writing activity that accomplishes three major tasks. 1. It requires the students to write a lot in a short amount of time. 2. It forces kids out of their writing comfort zone. 3. It impacts the way they think about writing within guidelines. The crazy thing about this writing activity is that they like it. The students are engaged from beginning to end - even the non-writers - and then they talk about their writing after class. I wish I could always generate that kind of enthusiasm. I introduced this activity to my freshmen today (who are notoriously unenthusiastic) and it generated a great deal of conversation after class, in a very good way. It's fun to listen to students from different class periods discussing how they could have made their stories better or how they want to continue their writing. My sophomores were pretty jealous when they came in and saw "The Box" on the board for the freshmen. Before I tell you about "The Box" I need to say right from the start that this is not my own original idea. This was a writing activity I did in one of my education classes in college, and I have used it since my student teaching days, always with great success. It will be easier to explain "The Box" to you as if I was talking to you as a body of students. So, here we go. 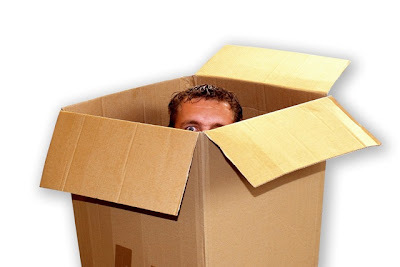 Today we're going to do a creative writing activity called "The Box." That will be the assignment title on your paper. The purpose of "The Box" is to help you write quickly and to be a flexible writer. First, the rules. There are two rules for "The Box." Rule #1 is that you cannot ask for help from those around you. This is solely on your brain power. Rule #2, and this is the hard one, is that you cannot ask questions. Are you ready? Okay, the first thing you are going to do is write a story. This story can be fiction or non-fiction. You can base it off of something that happened to you over the weekend or your story can feature ninjas and dragons. It's entirely up to you. The only thing I insist on is that, early on, you need to have a box in your story. This can be any kind of box. It could be a shoe box, or a big cardboard box. It could be the box a present comes in. It could be a T.V., because once upon a time those looked like boxes. This room is a box, so maybe the box is a room. Or it could be a fish tank. So, you're going to write a short story about anything you like, but it must have a box. Okay. Go. This is the point when hands often fly in the air, begging to ask how long the story should be, or if X counts as a box. 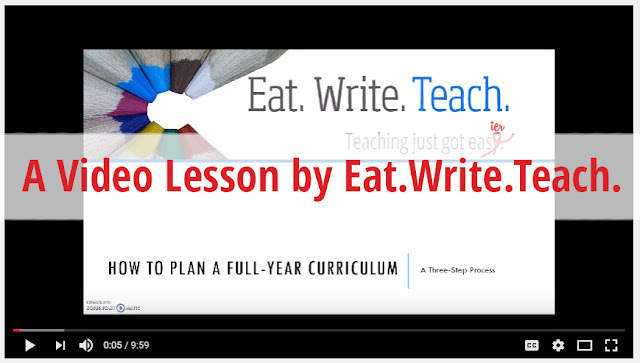 I gently remind the students about the no questions rule and tell them to just go with their gut and keep on writing. I encourage them to "word vomit" all over the page and not worry about writing an ending right away. Anywhere from seven to ten minutes into the activity, depending on how long it took the students to get started, I interrupt them. Okay, guys, now you're going to keep writing that same story you've got going, but now you need to add a tree to your story. This is the cue for the kids to look at me like I've completely lost my mind. Some of them say, "Oh!" and start writing madly because they know exactly how they are going to put a tree in the story. Some of them chew on the pencil, or stare deeply into space. Some of them get the silliest grins on their faces when they figure out a very clever way to incorporate a tree into the story. Since the goal is creativity, it might help to mention, "Don't forget, this doesn't have to be a regular old tree." That might help struggling students to think outside of the proverbial box, to think of "family trees" or "Christmas trees." Five minutes later. You guys are doing great. Now, this time, you're going to add fire to your story. It's pretty amazing what the students can come up with during this activity, and no two stories are ever alike. I love this exercise because it helps students realize that they have a lot of individuality and creativity to offer a writing assignment. On a side note, I use this activity when I work on my novel. I just have little slips of paper in a bag and I draw them out and add them to my writing to spice things up. What do you think? What writing activities have you found to be successful in your classes?